If you’re searching for some inspiration on how to make the inside of your home look a little more like spring then you’re in luck because we’ve got some great ideas! There aren’t many things we love more than bringing the outside into our homes! Nature is too beautiful not to incorporate into designs or to just bring it in to use as home décor. 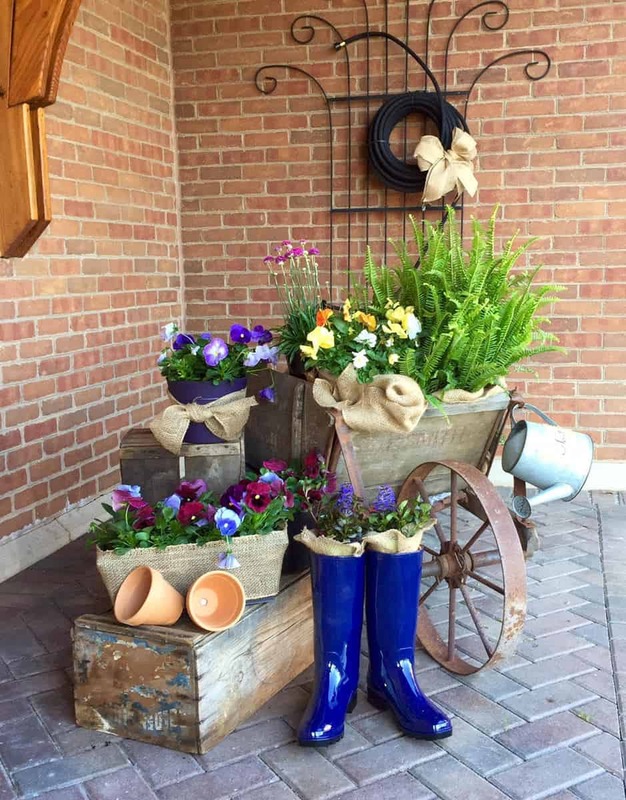 You can always use fun outdoor items that repurpose them to be used inside to add a touch of spring to your home. Purchase some fun patterned pillows and replace your darker ones. You often don’t find the same types of patterns on indoor furniture as you do on the outdoor stuff – but by giving outdoor pillows and indoor purpose you can add a little spice to your home’s interior décor. Don’t forget to pick some beautifully colored flowers to bring inside and you may even find that you can pick up a few tree branches outside that don’t have any leaves on them and spray paint them a fun color to give a Woodlands touch to your home décor. Spring décor can bring in happy memories for your family. 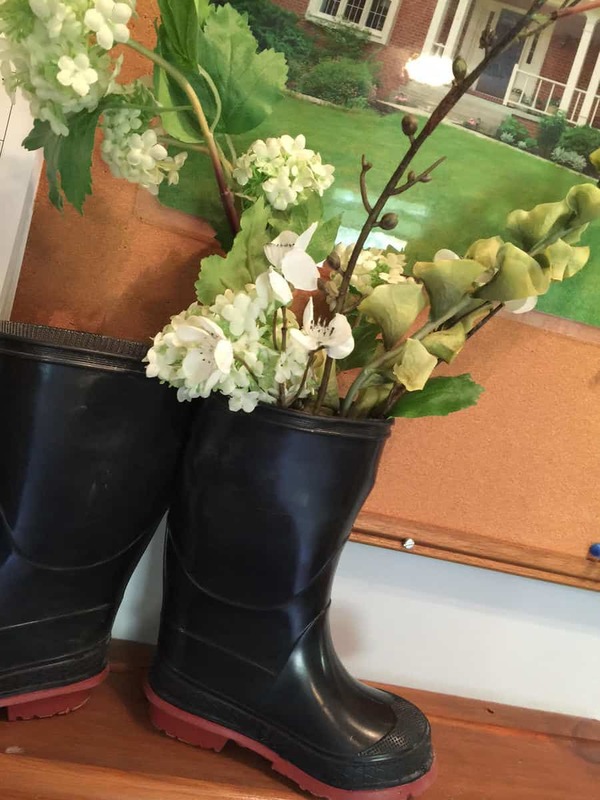 We used a pair of rain boots that our clients daughter had outgrown to create a daring touch of whimsy to her home. It’ll not only give your home a spring touch but will add a unique slice of individualism to your home – and you’ll always remember your child at the age they were when they used to stomp in the rain while wearing those boots!